At Gryphon Consulting, we offer the best Firearms qualifications in the Phoenix area. The Law Enforcement Officers Safety Act (LEOSA) is a federal law, enacted in 2004. LEOSA allows two classes of people to carry a concealed firearm. This applies to any jurisdiction in the United States, with certain exceptions. People who qualify don’t need a state-issued permit to carry a concealed firearm. There are exceptions to this law. These include where qualified people can carry the firearms and the type of firearm. Individuals must also obey any federal laws and agency policies that restrict the carrying of concealed firearms in certain federal buildings and lands, as well as federal regulations prohibiting the carriage of firearms on airplanes. In 2013, LEOSA was amended by the National Defense Authorization Act (NDAA) for Fiscal Year 2013, which clarified that military police officers and civilian police officers employed by the U.S. Government met the definitions in the original Act. As a LEOSA firearms instructor, I cater to retired law enforcement professionals. I am also available to certify retirees from a federal agency or the military. Contact me so I can conduct the LEOSA qualification. I will also establish a qualification date for your certification. 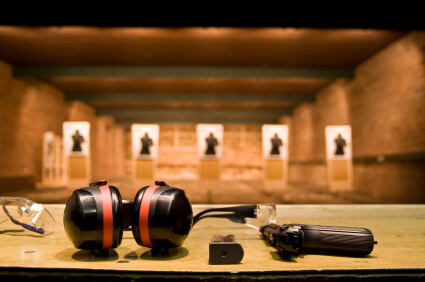 Complete the AZPOST firearms qualification course with the type of firearm you will carry. Get the completed application from my office. Submit the application packet. This includes: the completed application and a letter from your agency. You will also need a photocopy of your credentials issued by your agency and the applicable fee. The firearm qualification consists of the standard AZPOST requirements (50 round course, ranges of 25, 15, 7 and 3 yards, minimum passing score is 210). The TQ 15, TQ 19 or TQ 21 targets may be used. Judgmental shooting evaluations can be accomplished by a variety of approved means to include the use of FATS/Range 3000 units, “friend or foe” targets, video scenarios, etc. This portion of the qualification must follow AZ POST requirements. The LEOSA certificate is valid for one year from the date of your qualification. I take care of new certifications and renewals. Certificates are not CCW permits. They are documentation that the training/qualification is complete. You need to have the certificate along with your retired officer’s credentials when carrying a concealed firearm. If you’re in need of firearms qualifications in Phoenix, contact us at Gryphon Consulting. In addition to this service, we also specialize in DUI Consulting, Skip Tracing / Locating, and Domestic Investigations. For more information, contact us. We’re here to help you get the results you need!